The SKP 100 G3 adapts G3 wireless technology to a wired world. 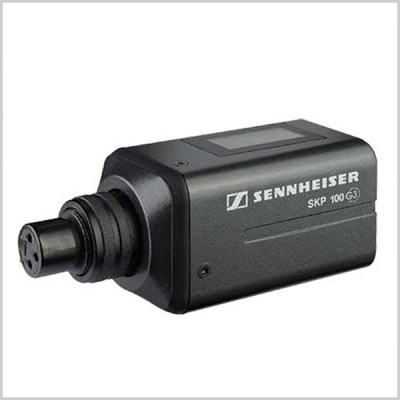 Imagine taking a wired microphone and turning it into a wireless simply by plugging in the SKP 100 G3 to it’s XLR port. Maybe you would like to send a signal from a mixing console to a Sennheiser evolution G3 receiver across the room? No problem. Featuring G3 upgrades such as wireless transmitter sync and easy-to-navigate menus, the SKP 100 G3 is ready to literally plug in and play.